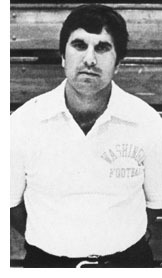 Winning the State football championship in Class 4-A was a highlight for Washington High School Coach John Venturi in a very successful career as a player and coach. Since he assumed the job as head football coach at Washington High School six years ago, the team has won the Mid-State 10 championship in 1981, then the Mid-Illini championship in 1982, became runner-up in Class 4-A in 1983, and then the State 4-A championship in 1985. His overall record at Washington High is 52 wins and 22 losses. John had an illustrious career as an athlete at Pekin High School and the University of Missouri. He quarterbacked two Mid-State championship football teams for Pekin and was named to the Chicago American's AllState team in 1967. He played on the 1967 Pekin State basketball champion team. John lettered in football, basketball and baseball at Pekin High. He was quarterback on the 1970 University of Missouri football team which played in the Orange Bowl. His coaching career has included one year as a graduate assistant at the University of Missouri and four years as assistant coach in basketball, football and baseball at Peoria Central during which time Central won a state basketball championship in 1977. 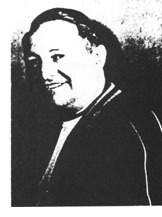 John is the son of the highly respected and long time coach of Pekin High school, Joe Venturi.